On Sunday April 25th, 1pm. The ENVIROMEDIA MOBILE- the amazing traveling NATURE and MARITIME Museum on wheels kicks offs its spring/summer weekend fun in waterfront recreation, environment, culture and maritime with EARTH DAY CELEBRATIONS at IKEA/ERIE BASIN PARK in Red Hook, Brooklyn. 5000 people to Join in and help raise the GIANT FLOATING EARTH BALL. commitment to mitigation of impacts on Climate Change, Ocean Acidification, and Fostering a New Green Generation in NYC. – 2pm Live Music from the ” Open Piano on The Soap Box” with guest Lyrical Vocalist/Poet DuEwa Frazier. Detail calendar at http://enviromediamobile.blogspot.com. For more info call 347-224-5828.
at One Beard Street. Accessible by FREE IKEA Buses, NY Water Taxi, B77, B61 to the stop in Red Hook. ^You heard it here first. Climate problems are over. The solution came from Red Hook (no surprise). OK, not quite. BUT, the neighborhood is home to New York’s very first “non-gas station,” a solar powered electric vehicle station from an organization in the neighborhood, Beautiful Earth Group. Capacity for the charging station amounts to about six kilowatts and its battery constantly stores charged solar energy for on-demand usage. 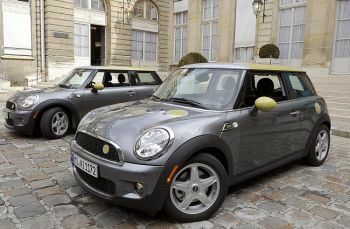 The Mini E is able to travel approximately 150 miles under ideal conditions on a full charge. 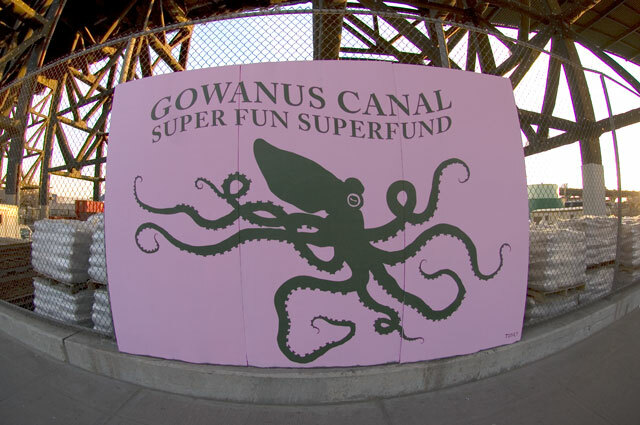 Head over to the Brooklyn Daily Eagle to read up on efforts to clean up the notoriously polluted Gowanus Canal. It’s not clear whether these improvements completely remove the possibility for an EPA “Superfund” designation, as floated earlier in the year, but it is a significant ($150 million) commitment. Taken together, these upgrades will significantly improve water quality and the quality of life around the canal. ^Says the paper. Check out the article to see why.